In the Spiral Tarot , astrological portrait artist Kay Steventon conveys the spiral mysteries of the subconscious with the mythical imagery of her richly illustrated tarot deck. These cards incorporate figures from diverse cultures including Celtic mythology, Roman and Greek mythology, and the Legend of King Arthur. 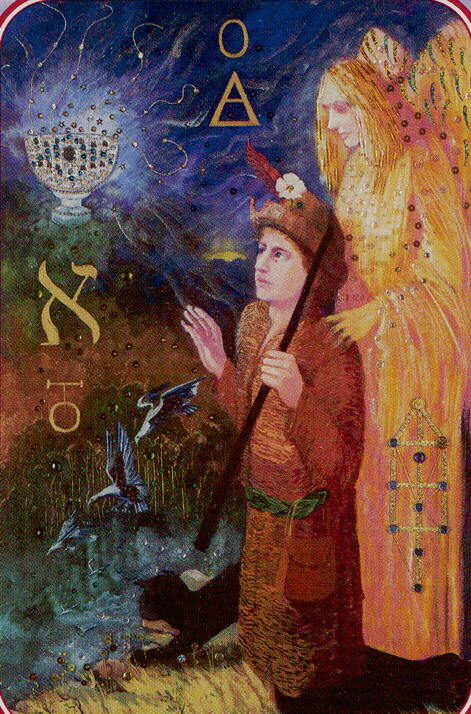 The Major Arcana of the Spiral Tarot deck show the Kabbalah correspondences, depicting the Hebrew letters for the trumps, as well as the particular Sephiroth on the Tree of Life.